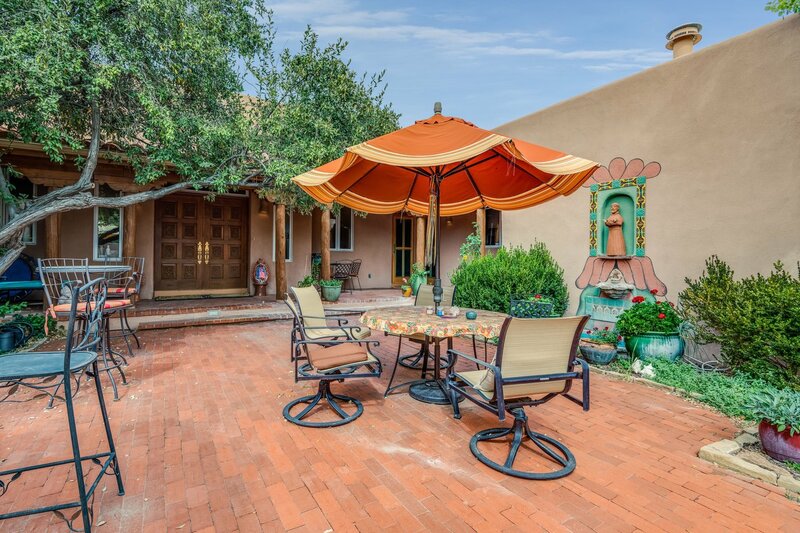 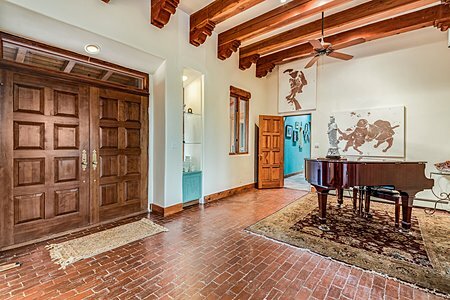 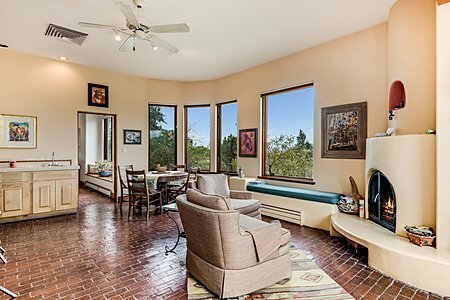 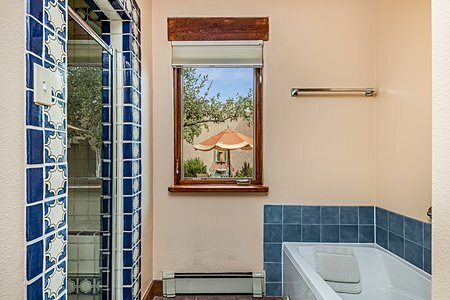 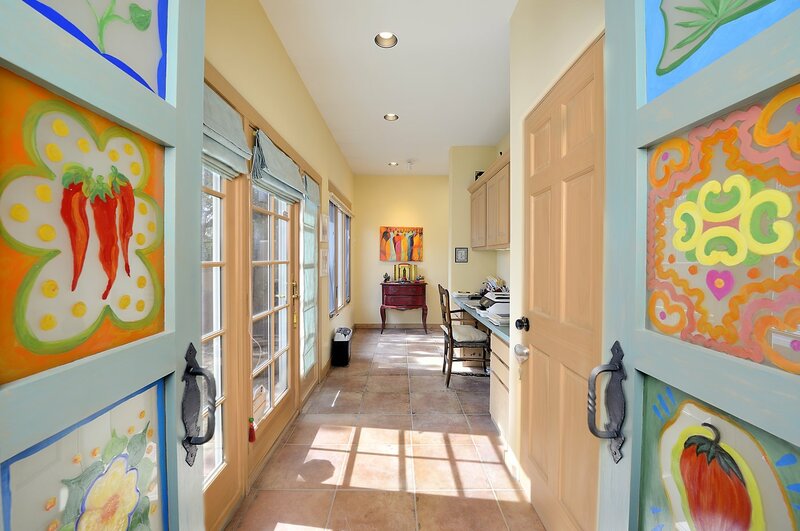 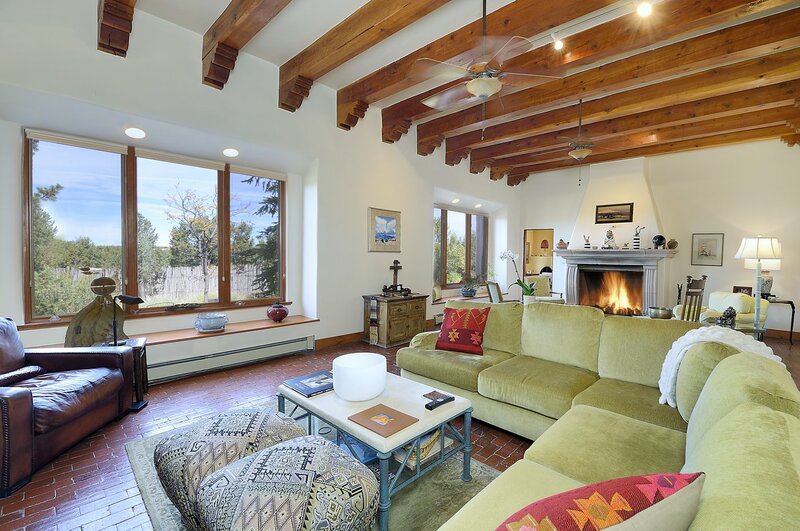 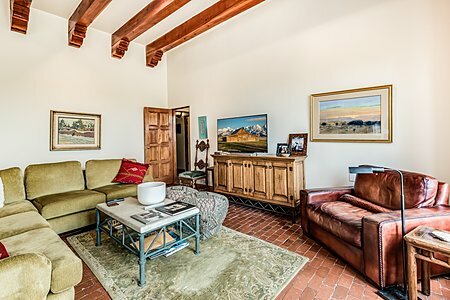 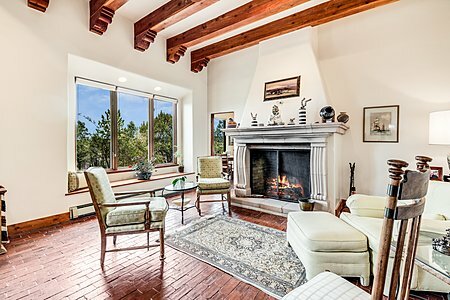 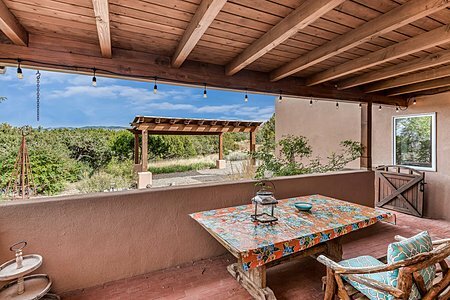 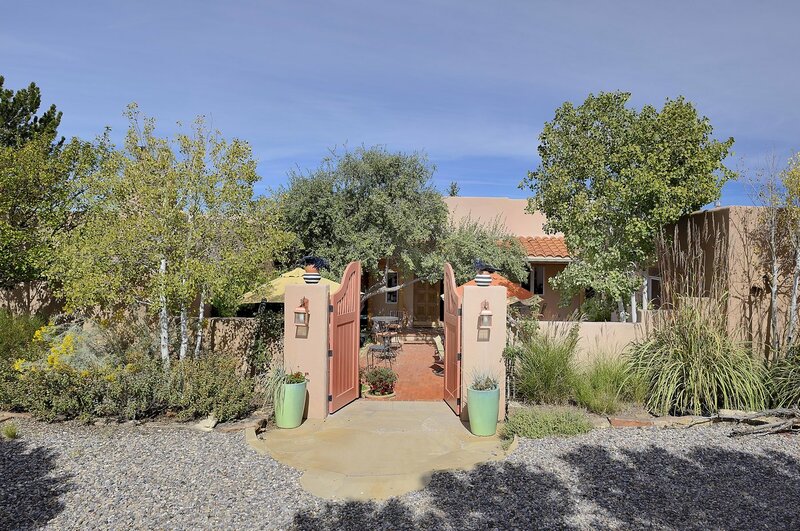 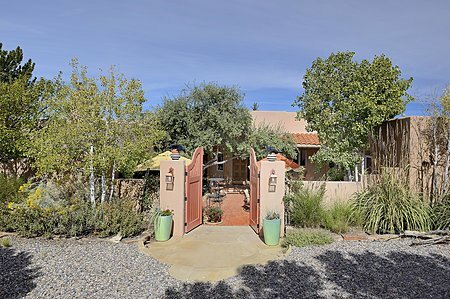 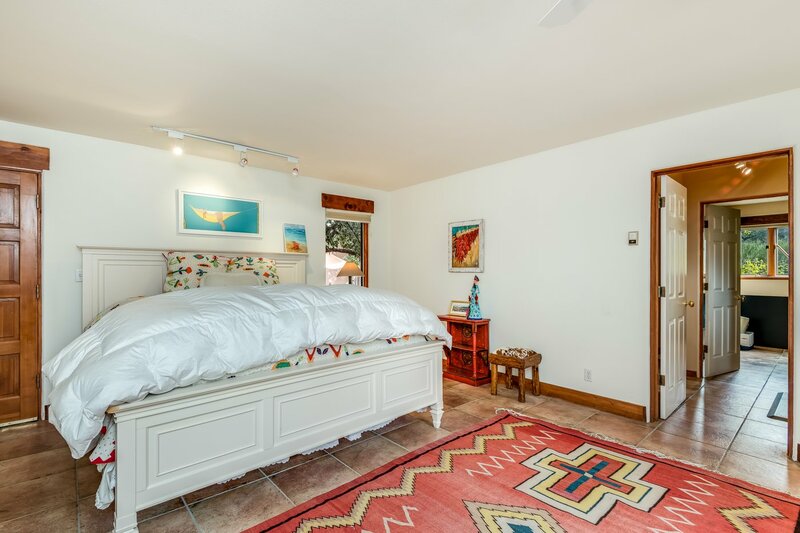 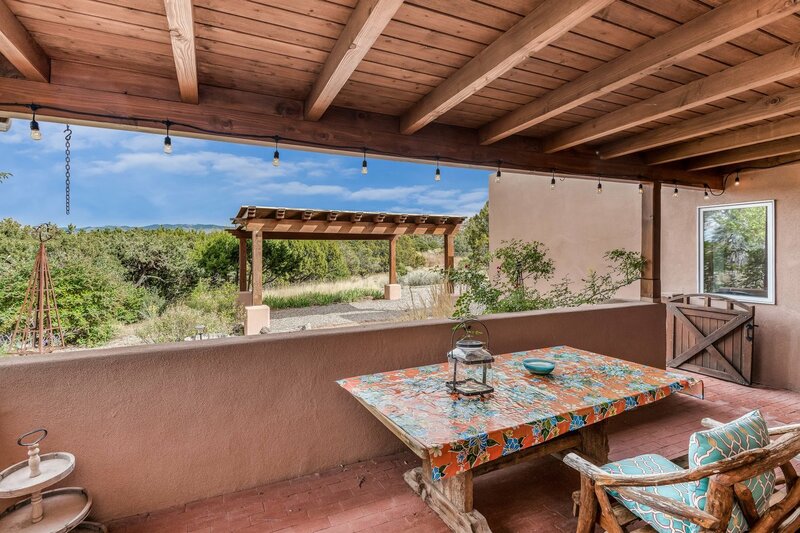 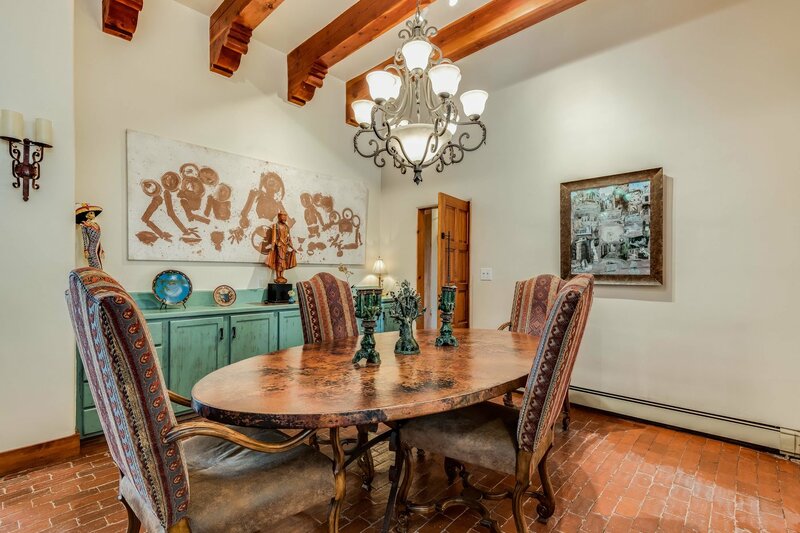 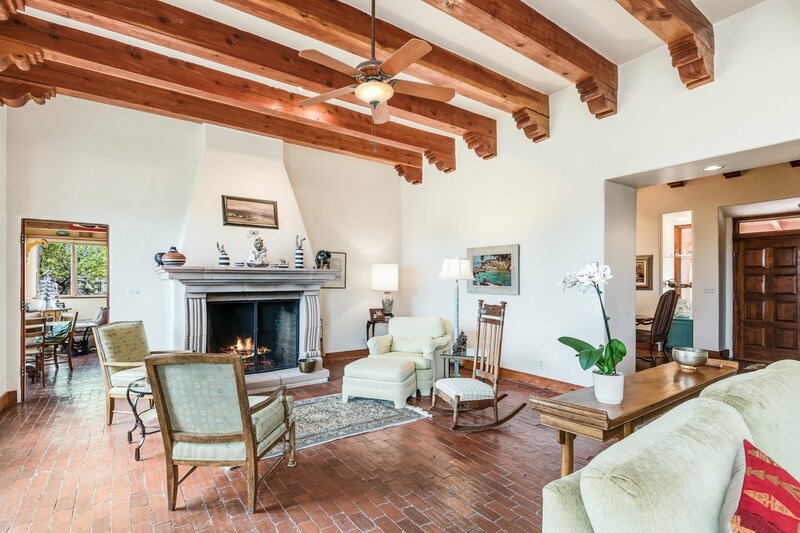 Set on almost 2 acres in the just off of Camino La Tierra, this single level 3 bedroom 5 bath home with attached guest house combines traditional charm and classic lines in a lovely hacienda with covered portals. Enter through the gates into the inviting courtyard and take in the delightful landscaping surrounding the brick patio where you can relax or entertain. Step inside to the spacious entry, perfect for displaying art, that opens to the impressive great room with high ceilings, gorgeous beams with corbels and a grand fireplace as the centerpiece. 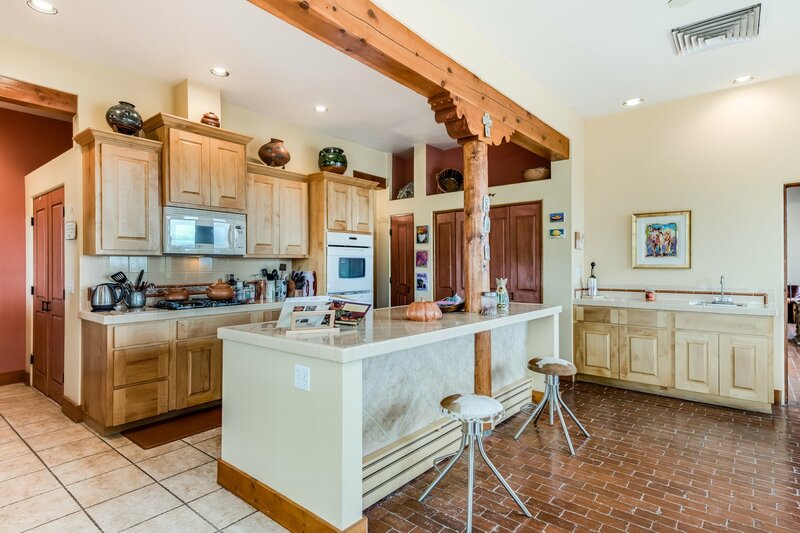 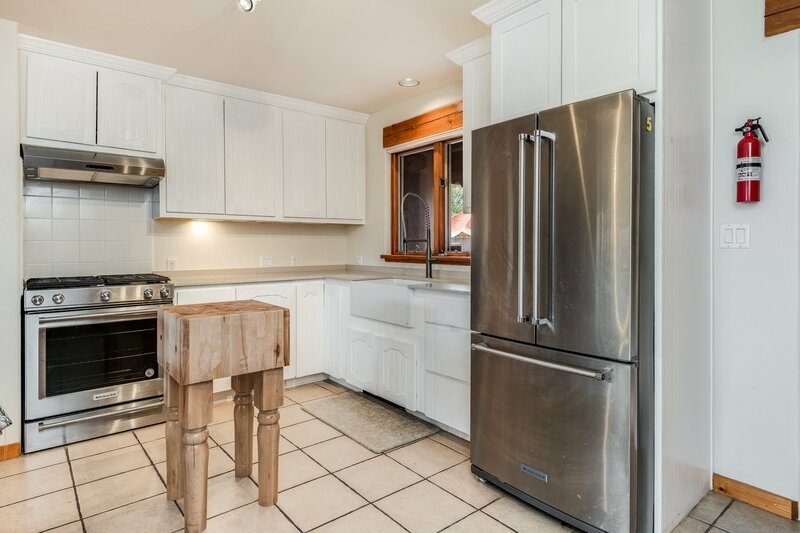 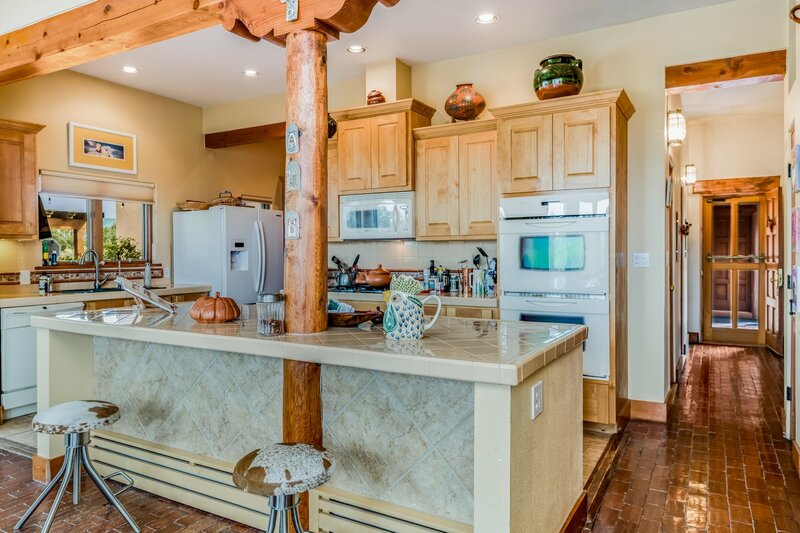 Perfect for hosting gatherings, the open kitchen has a hearth room with fireplace and informal dining area, a breakfast bar, and a wet bar. 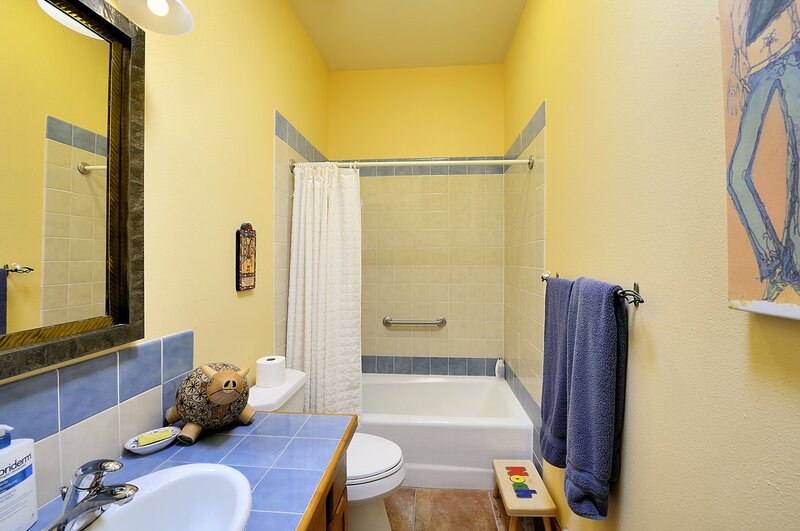 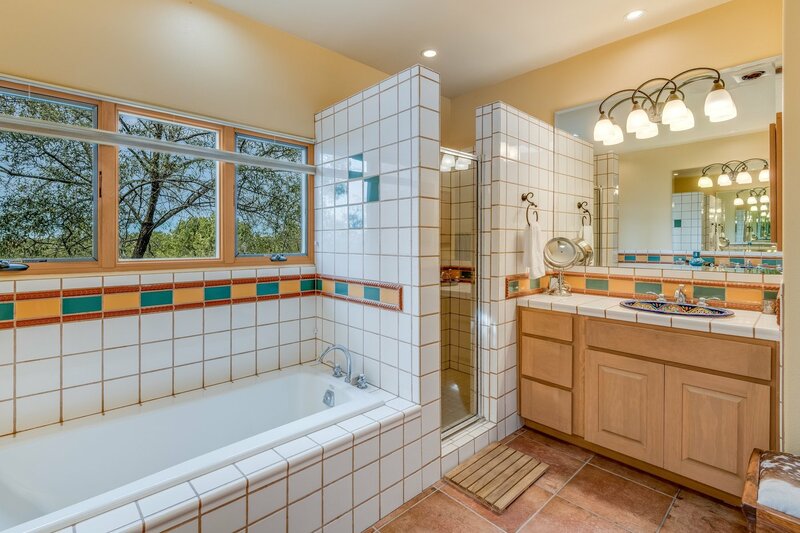 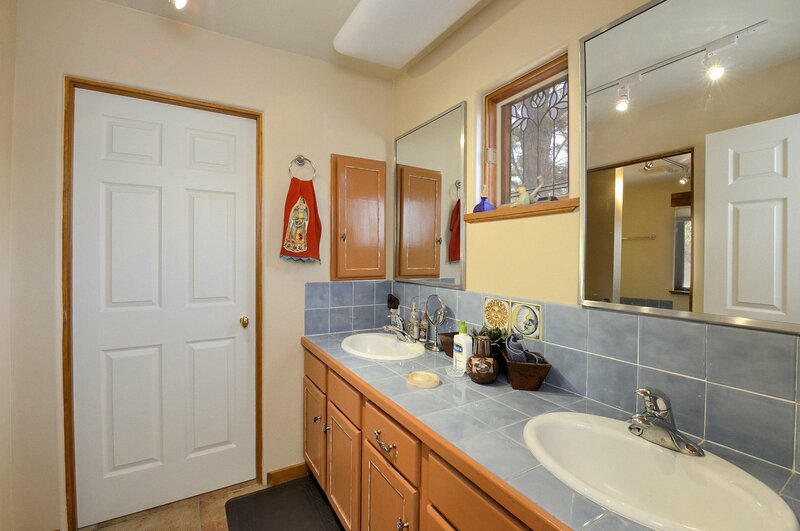 The recent master suite addition has a fireplace of its own, a master bath with custom tile and step-in shower. 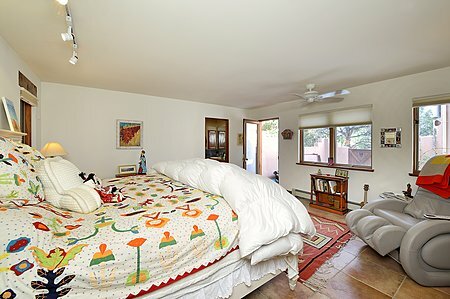 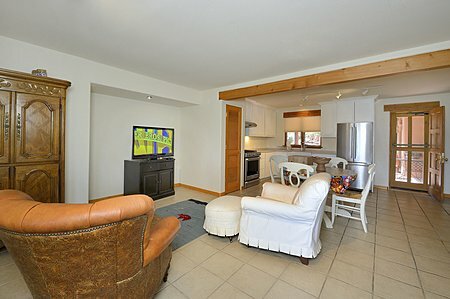 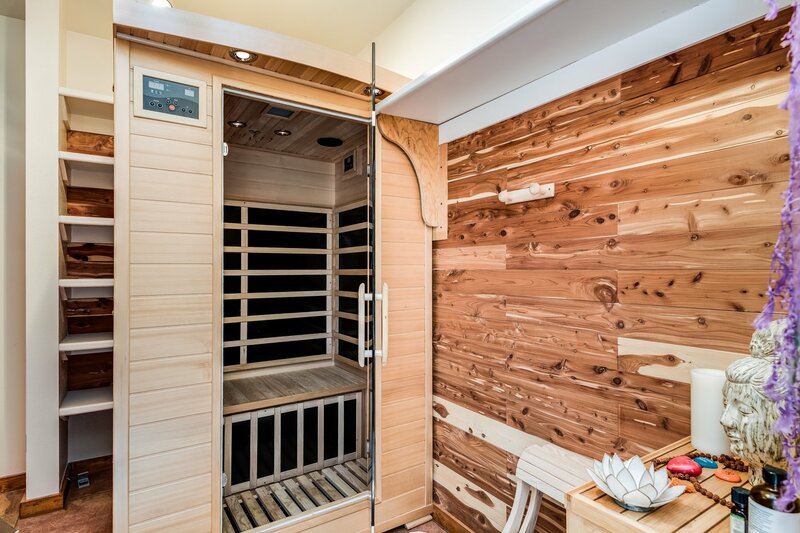 Other bedrooms, one of which was the former master suite with its own bathroom including a sauna, are roomy and bright. 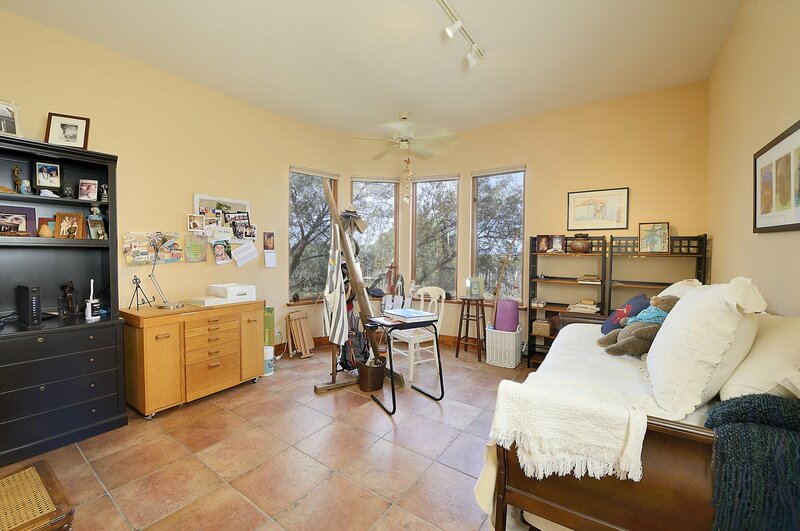 There's an office space with built-in shelving and cabinets, and a library that could be a third bedroom or studio. The guest suite was a recent addition that will allow visitors plenty of privacy with their own entrance and kitchenette. 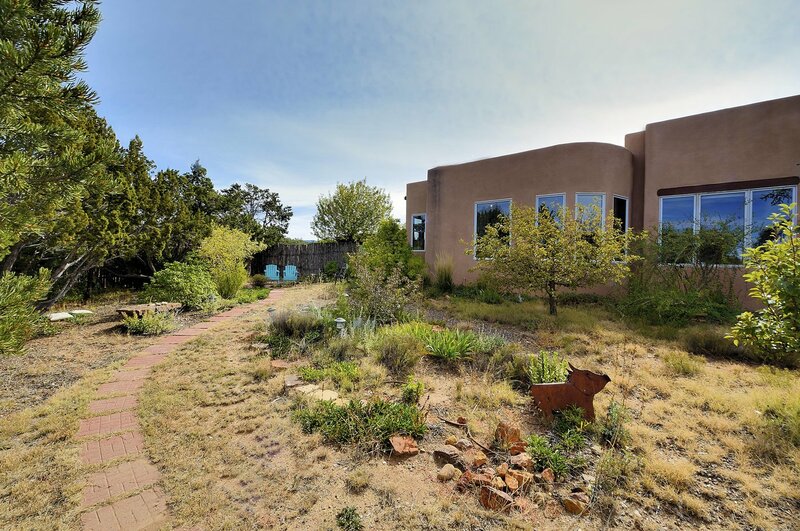 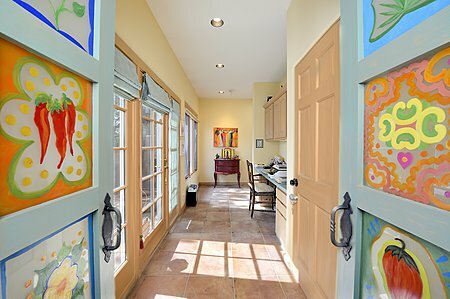 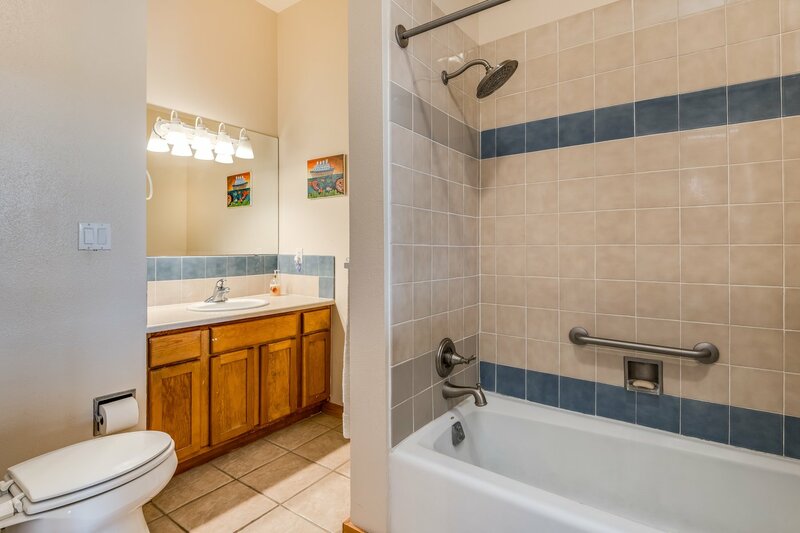 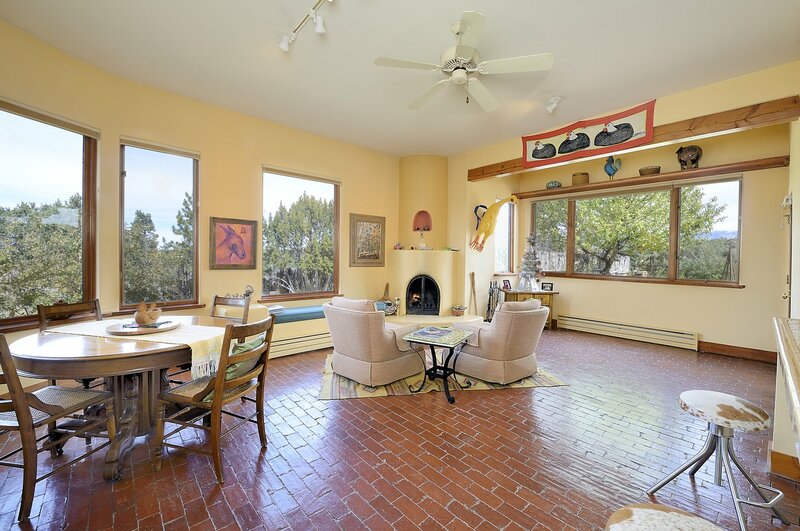 You'll enjoy the natural surroundings, winding paths, and ample outdoor spaces for entertaining. 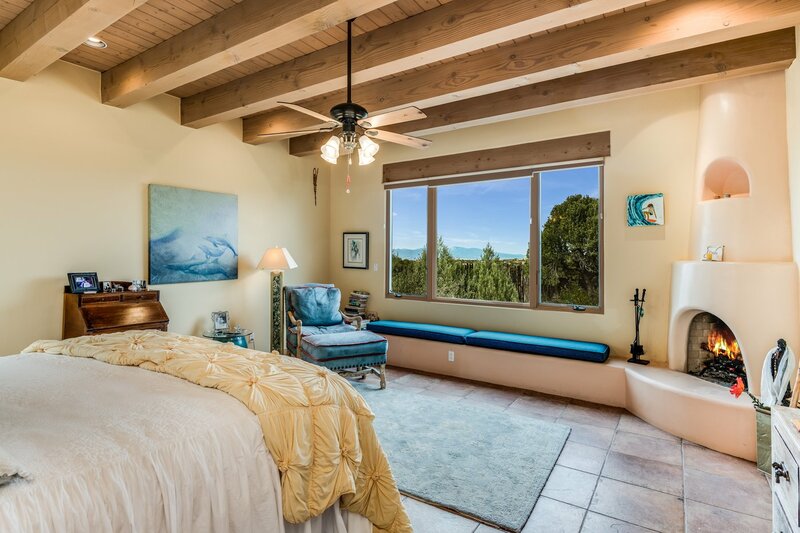 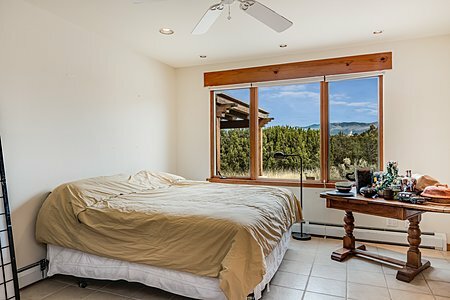 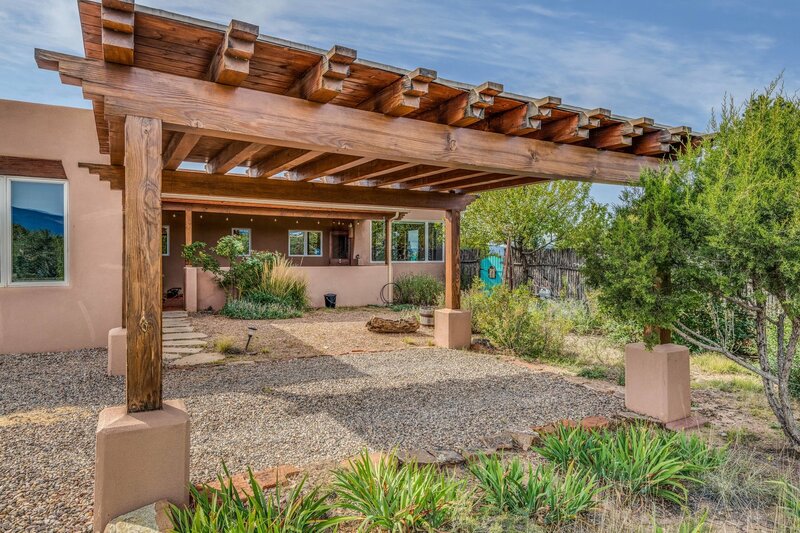 Stunning sunrise, sunset and mountain views complete the package as you make this home your place in the sun. 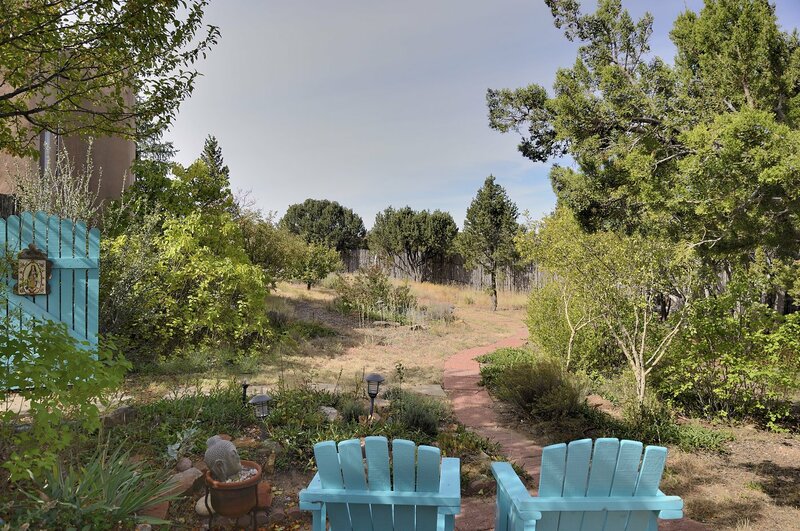 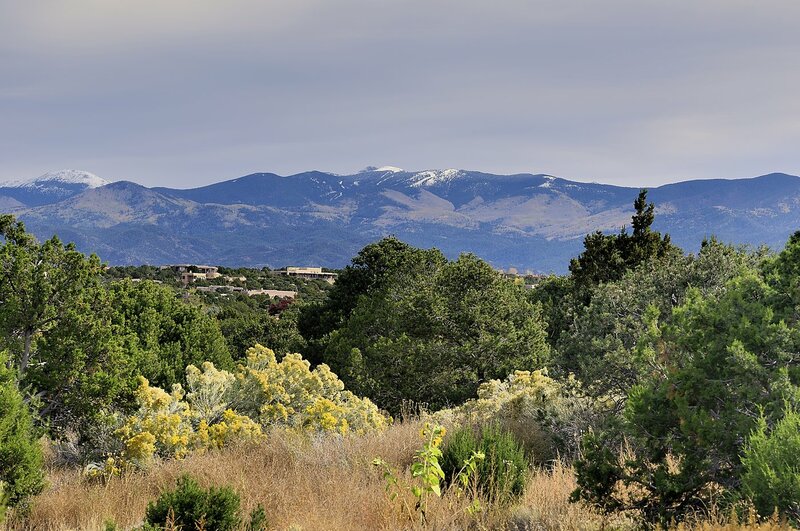 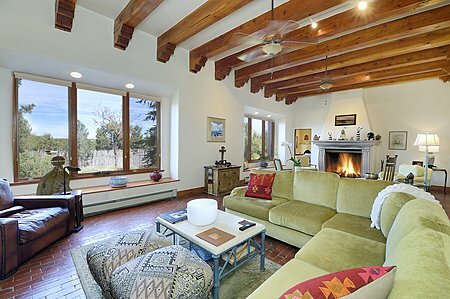 Near the La Tierra trailhead and minutes from Santa Fe Plaza, it's a perfect retreat among the pinon and juniper trees.